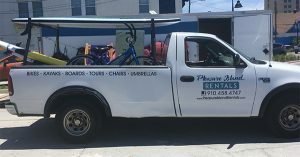 Pleasure Island Rentals wants to ensure you make the most of your vacation… that’s why we deliver. We will drop off all of your rental needs at your vacation destination or any other recreational spots, so you can enjoy everything Pleasure Island has to offer the minute you park your car. 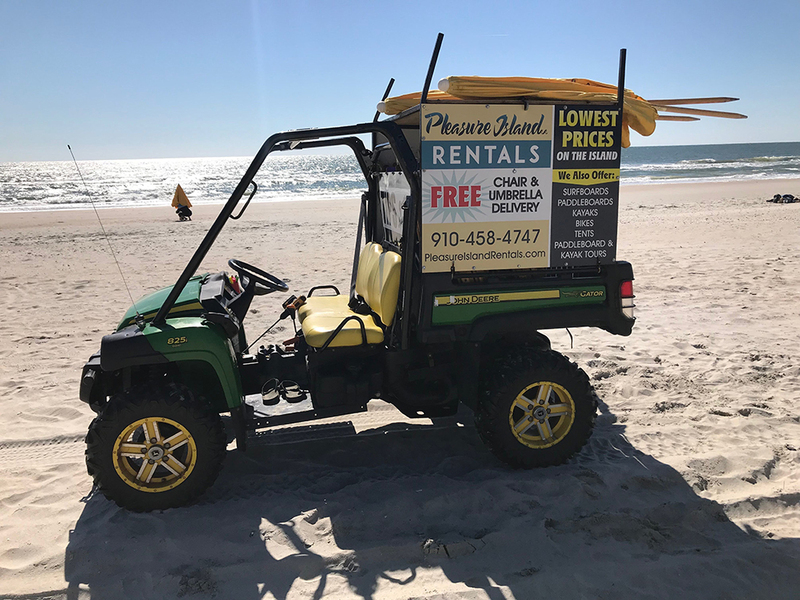 One of our two John Deere Gators will come to you anywhere on Carolina Beach for your chair or umbrella needs. Just call us and we are there or reserve for multiple days and we will have your chairs and umbrellas up for you by 9 a.m. each morning with your name on it. Then we will pick it up each evening starting at 5. * We deliver to Wilmington, Wrightsville Beach and Oak Island. Call for pricing.